The Pilates Station is proud that Patricia Duchaussoy trained Actress Acharapan ‘Pa Gee’ Paiboonsuvan อัจฉราพรรณ ไพบูลย์สุวรรณ (ป้าจิ๊) in the YogaFly Method. The course participants were happy to learn this fresh and inspiring method from YogaFly Master Patricia Duchaussoy. ‘Pa Gee’ offers now Yoga Fly by Patricia Duchaussoy at her studio Yoga & Me at Crystal Design Centre , together with a varied mix of holistic yoga training designed to benefit the body and mind. The launch party in February 2012 drew a large number of guests from the entertainment industry who may have been daunted by the yoga fly room equipped with straps and slings for gravity-free aerial yoga, the latest in yoga trends. The highlights of the event included a live demonstration of the Yoga & Me style of yoga by veteran yoga teacher Anchaya Yaemsukon, a yoga fly group and a demonstration class with Acharapan and celebrity students including Sririta Jensen, and Rhatha Phongam, better known as “Ya-Ya Ying”. 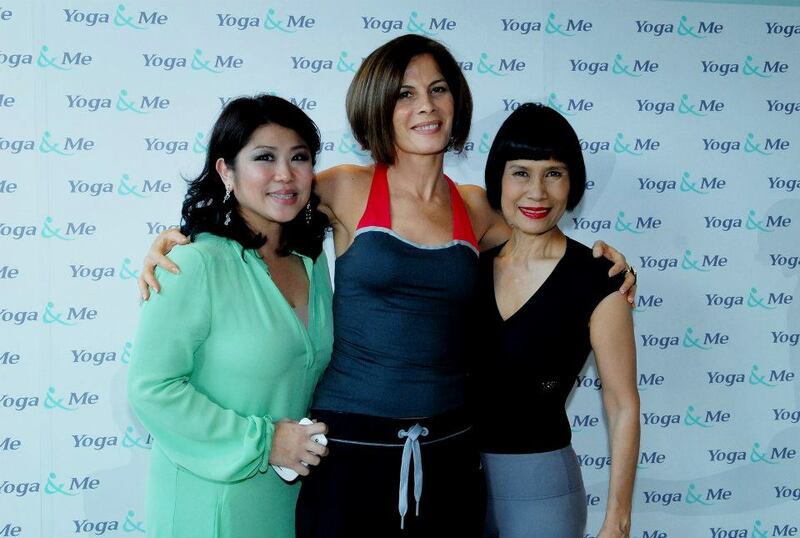 The Pilates Station is proud that Patricia trained Gee Paiboonsuvan and 3 other Yoga Teachers in the first YogaFly Instructor certification course in Bangkok. The course was held in December 2011.